Breitling & Bulova Watch Parts | Cas-Ker Co.
Bulova - an iconic American watch brand founded in 1875. Cas-Ker is your source for watch parts to repair Bulova and other watch brands. Parts listed here represent a fraction of the Bulova parts we have in stock in our warehouse, ready to ship to you right away! We have so many Bulova watch parts, we can't get them all on our website just yet! 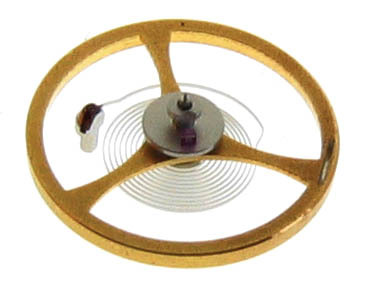 Call us at 1-800-487-0408 to order the Bulova part(s) you need, or request a warehouse check here by entering the part description including the movement number for movement parts (such as a stem), or the case number for case parts (such as a crystal or crown). Cas-Ker is your source for Bulova watch parts, Genuine Rolex parts, Generic Rolex parts, Patek Philippe Parts, Vacheron parts, and other hard-to-find discontinued watch parts. Cas-Ker Co. is independent of and is not affiliated with or sponsored by Bulova or Rolex® Watch U.S.A. Inc. Manufacturer's warranties do not apply to non-genuine replacement items supplied by Cas-Ker Co.